Well…the staff at AB are here to tell you they are wrong. In January 2017, we signed a confidentiality agreement and a media contract to help create the first real picture on the famous hijacking. They warned us in advance it could take a while to get it off the ground, but in the meantime they paid us generously to work with them, and renewed the contract in January 2018 when production shooting did not start. Along the way, they also kept us updated via Skype, conference calls, and emails. They also plan to name suspect Kenny Christiansen as the hijacker. Not as a matter of theory or with a ‘maybe’ at the end, but as historical record. In exchange, we provided them with exclusive access to all files on Christiansen and his alleged accomplice Bernie Geestman, including files not released publicly. They’re even naming FBI agent John Jarvis as a witness to the truth in the picture. 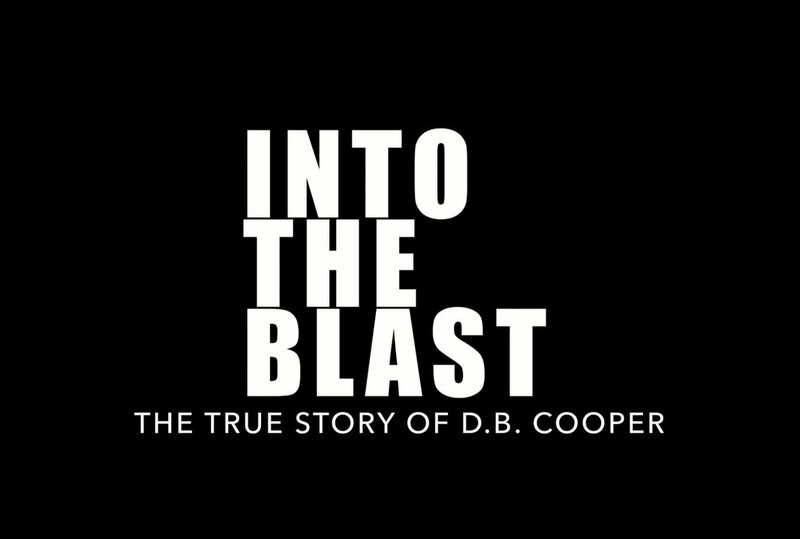 Along the way, the production company did a few things to generate interest in a movie about Cooper, which they used to convince other production companies to come on board, as well as recruiting a cast and crew. These days, this is a very common practice to produce a motion picture, which is why you often see three or four companies and their cute logos at the start of a film. One of the things they did was to fill a hundred briefcases with copies of Into The Blast, a copy of the ticket given to Cooper, a pair of sunglasses, a two-page review of the evidence against Christiansen and Geestman, and other things. They had great success with that approach. They also used a three-minute promo reel filmed especially for these other production companies, which was presented in secret. The staff of Adventure Books are signed to a confidentiality agreement regarding details on the film, although this writer can tell you a couple of things. The picture will be presented with parts of the hijacking first, and then flashbacks to different events in Kenny’s life, and how he came to the idea to finally take some revenge on an airline that kept him in poverty for years. Christiansen was also gay, and somehow managed to hide that fact during his years serving in the US Army as a paratrooper at the tail end of WW2. Our agreement with the production companies says we can’t reveal their names or major details on the picture. But we are allowed to show readers a few still shots from the promotional reel. These companies have agreed to extend the media contract into a third year, should First Day of Production Shooting not happen prior to January 23, 2019. They have assured me a fourth year will certainly not be necessary. They are currently interviewing screenwriters with a known track record for the actual script, and are getting close to a selection, I’m told this week.